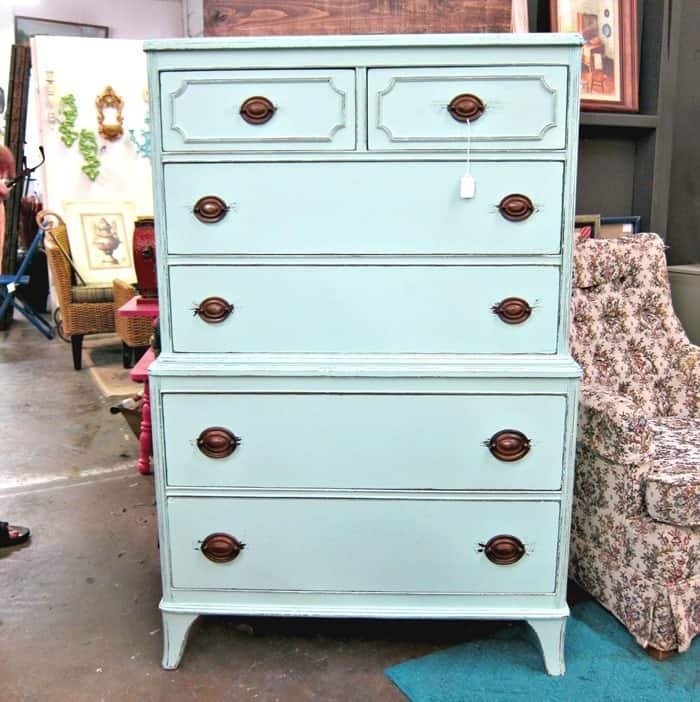 I have several things to share today including; the August craft winner, my latest junkin’ finds from Butlers Antiques Hopkinsville Kentucky, a pretty painted piece from a friend, Nashville Flea Market details, and info on a new furniture share group. I spotted the pretty blue cabinet when I pulled into the parking lot. Someone purchased it and they were trying to stuff it in the back of an SUV. No go. They didn’t buy it after all and I didn’t either. Passed on the nightstand too. 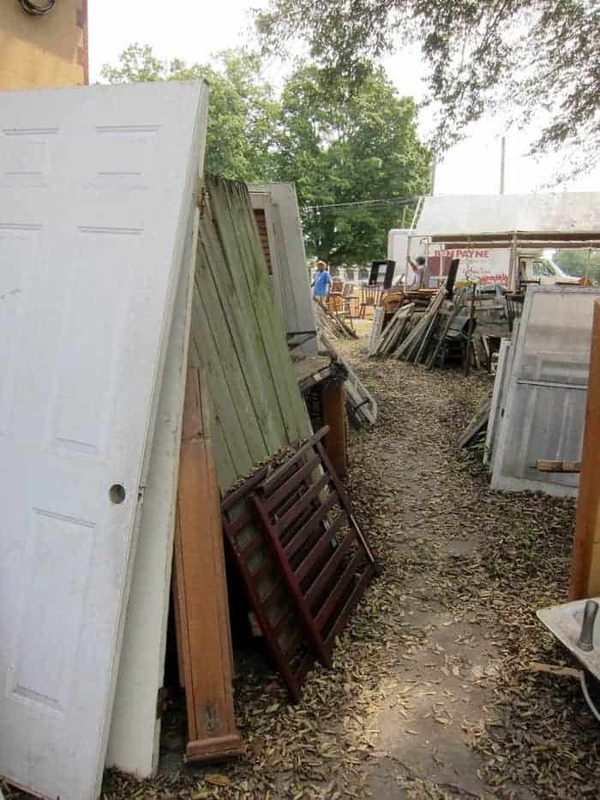 Giving you a little peek at what I call “Window & Door Alley”…and this is just a small peek. I bought the two containers. I can’t pass things like this up. They make wonderful flower containers for the porch. I bet they show up soon in my Fall porch décor. They were $4 each. 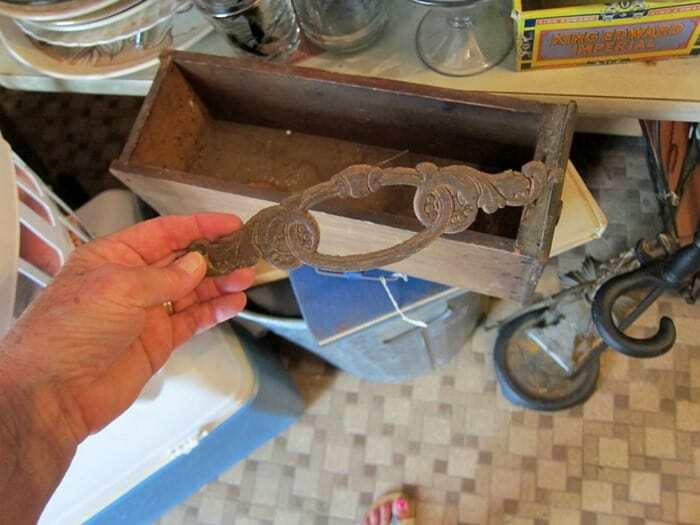 I bought the wood sewing machine drawer and the pretty wood detail for $5. 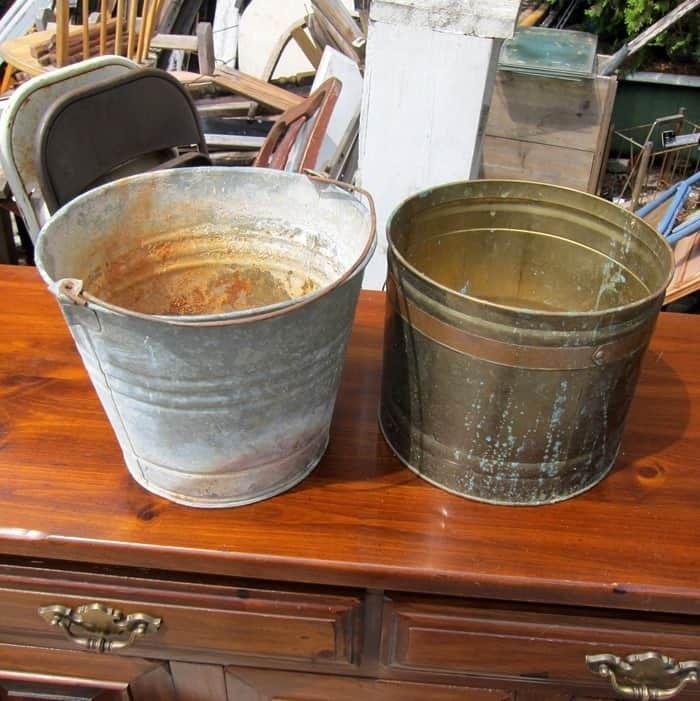 View the video I made of the Junk Shop on my last shopping trip. Mr. Raymond Butler is the shop owner and he gets help from his sisters running the shop on different days. The shop is open Monday-Saturday 9-5, flexible closing hours depending on the season. He’s not open on the fourth weekend of the month from Thursday- Saturday because he loads up and sets up shop at the Nashville Flea Market. (as of 2017 he doesn’t set up at the flea market every month) His booth is my first stop at the flea market. After shopping at Butler’s Antiques I went by the shop where my booth is and spotted this beauty. It was painted by my friend Diana, sister to the shop owner. Not only do I love the color I love the style. Chest on chest is my favorite. You can’t see it very well in the photo but Diana distressed the areas around the drawer pulls and it’s a really cool effect. I think I’ll steal the idea. 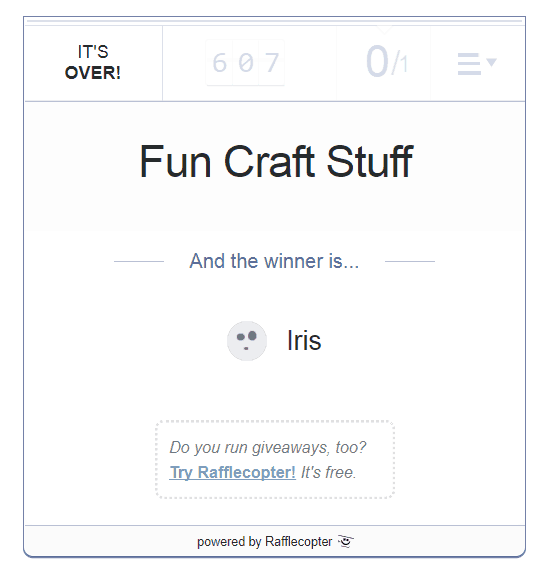 Iris S. was the winner of the craft giveaway for August. I’m not having a craft giveaway in September but I might have another surprise for you guys. Stay tuned. 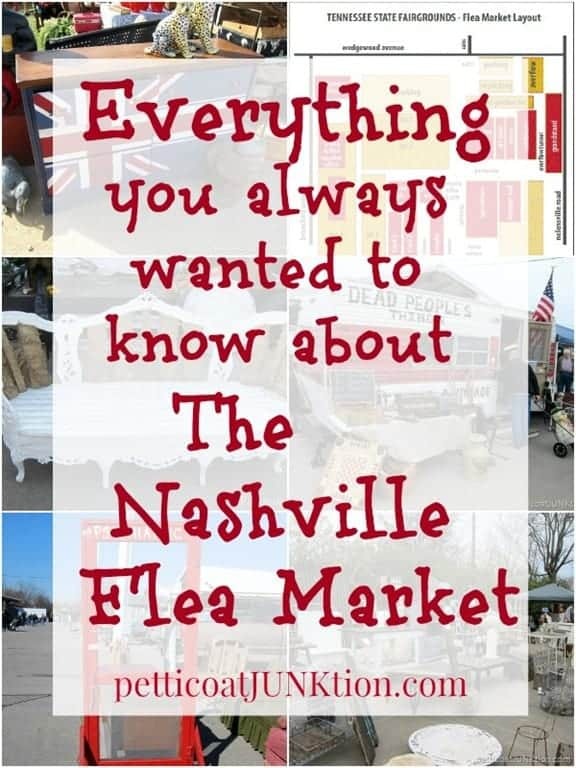 The Nashville Flea Market is this weekend and I’ll be there Saturday if nothing else comes up. Anyone going this weekend? I know most of you don’t live in the Nashville area but several have made trips just to go to the market. It sure is a lot of fun. Click here for all the info. A couple of my blogging friends started a new Facebook group and it’s all about furniture. Fourteen bloggers (including me) share furniture projects throughout the week and Tuesdays and Thursdays are open for everyone to share furniture projects. 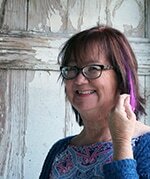 Everyday there are tips and ideas shared and everyone can comment on threads everyday. 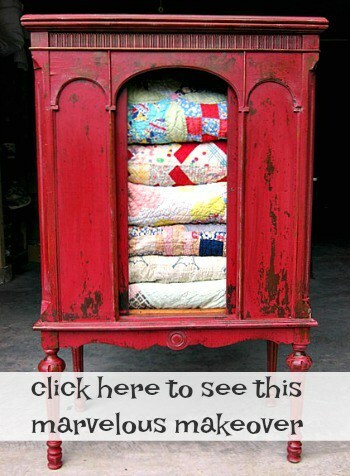 We would love for you to join the group and share your furniture projects….makeovers, builds, redos, whatever. Click here for the DIY Furniture Projects Group on Facebook and ask to join! Just joined! I know that I will enjoy it tremendously! 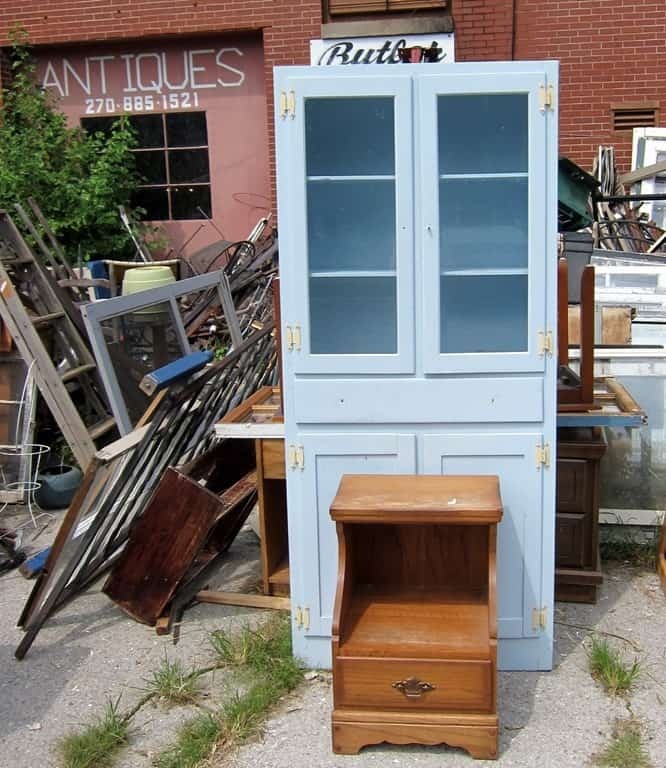 I would have loved that blue cabinet for my booth at the antique mall – love it! Jumping over to join your FB group.